When you visit Gatlinburg discover nature at its finest by stay in one of our Smoky Mountain Cabins. Immerse yourself in the tranquility and beauty of the mountains in a cabin in the Smokies. 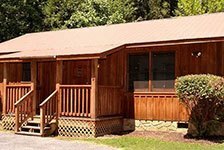 Smoky Mountain Cabin Rentals feature secluded locations, sweeping vistas and special lodge retreats perfect for your Smoky Mountain vacation.